I realized I was a Lisa Loeb fan on a sunny afternoon in 1997. I was in the front seat of my mom’s car, windows rolled down, head bobbing to the soft rock sounds of Magic 105.3, a radio station that boasted the best mix of the 70s, 80s, and 90s in San Antonio. When my dad drove, we listened to classic rock station KZEP 104.5, and while I was a big fan of the Led Zeppelins and Rushes of the world, I never admitted to having a soft spot for the female singer/songwriter types that were having a bit of a Renaissance in the mid to late 90s. So Magic finishes up playing Loeb’s single “I Do” and the DJ mockingly chimes in and “that was wah wah wah, I Do by Lisa Loeb.” I stood up in my seat perturbed by the condescension of the disc jockey. She continued discussing Loeb and how she was eccentric and wore “grandma glasses” in a diatribe that even my nine-year-old self recognized as backhanded compliments. I straightened up in my seat, outraged and annoyed with the DJ, but I didn’t exactly know why. I had no personal connection with Lisa Loeb, nor did I own any of her records. I thought “I Do” was really catchy and the way she sings “so I turned the radio on, I turned the radio up” in the song “Stay” melts my heart a little and puts a bittersweet smile on my face. My pre-adolescent mindset added all of this together to realize I had developed a schoolboy crush on Ms. Loeb. It has dawned on me in reflecting on this moment that I was upset with the DJ not because I liked Loeb’s music but rather because I liked her as a person and saw a pop star I could actually relate to. Aside from being beautiful, she was quirky, self-deprecating, and funny and more than the whiny self-righteous singer-songwriter stereotype this DJ was describing her as.1 Saturday night at The Korova, Loeb confirmed the perception I’ve had for her in a set that was as endearing as it was fun. I would like to take a second to give a huge thank you to both fellow Creative Socialite contributor Wayne and opening act Jeanette Muniz who gave me the opportunity to watch one of my childhood crushes play pretty songs that make me smile live. I was fortunate enough to arrive just as Muniz was setting up. 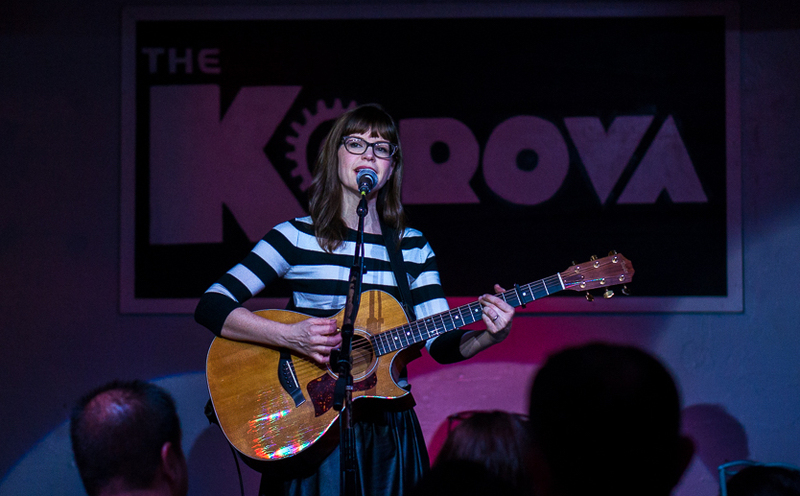 When she’s not performing, she’s laying down tracks as a DJ at KRTU 91.72 and has much better things to say about Lisa Loeb than the aforementioned Magic DJ. 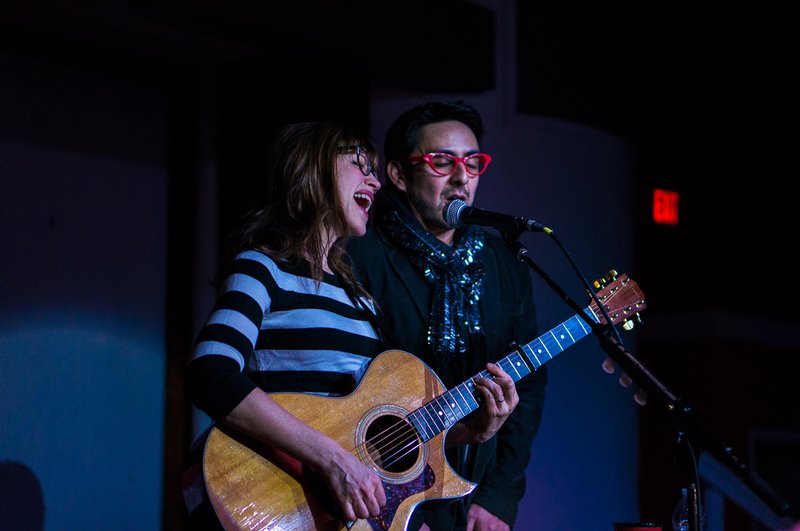 She even provided fake cat-eye glasses for the crowd that she dispersed at the end of her set in celebration of Loeb’s first visit to the Alamo City in years. 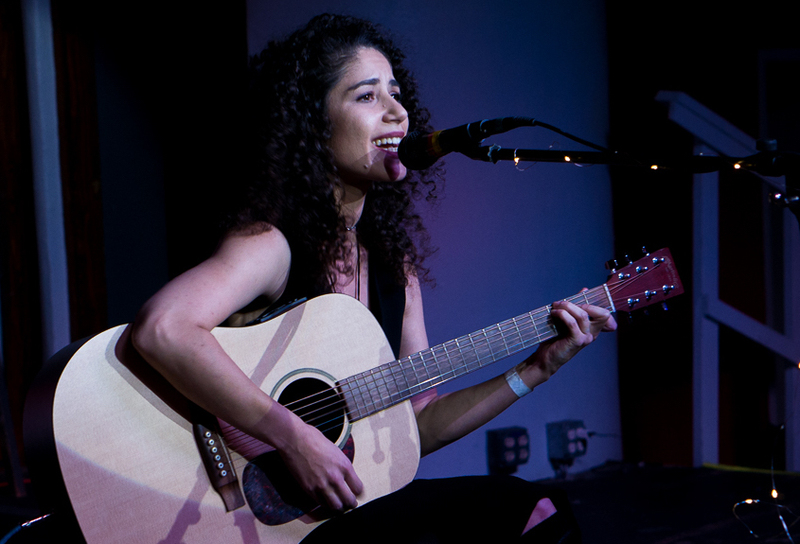 Muniz treated the audience to a set of (mostly) 90s covers to establish the mood for Loeb’s set. Her hands jittered as she grasped her guitar as she started bantering with the crowd; whether this was from nervousness or after effect of the freezing temperature outside, I’m not sure. What I am sure of, is that if she had any sense of anxiousness, it disappeared the second she started playing. 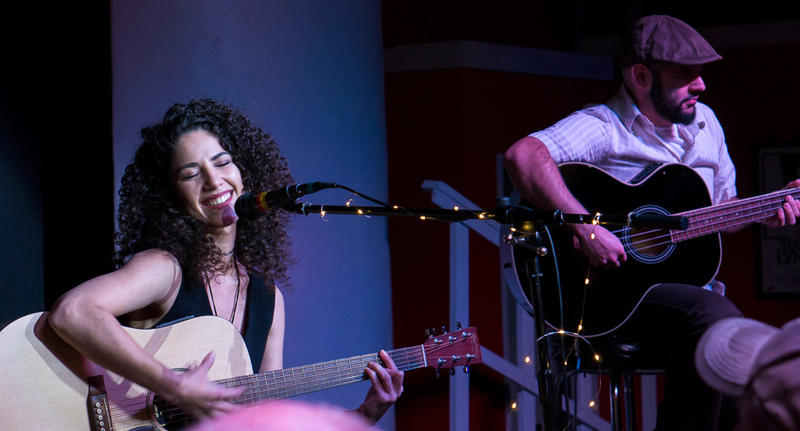 Muniz is a natural performer, and with a smile reminiscent of Selena, her personality shone through as she played through each song. 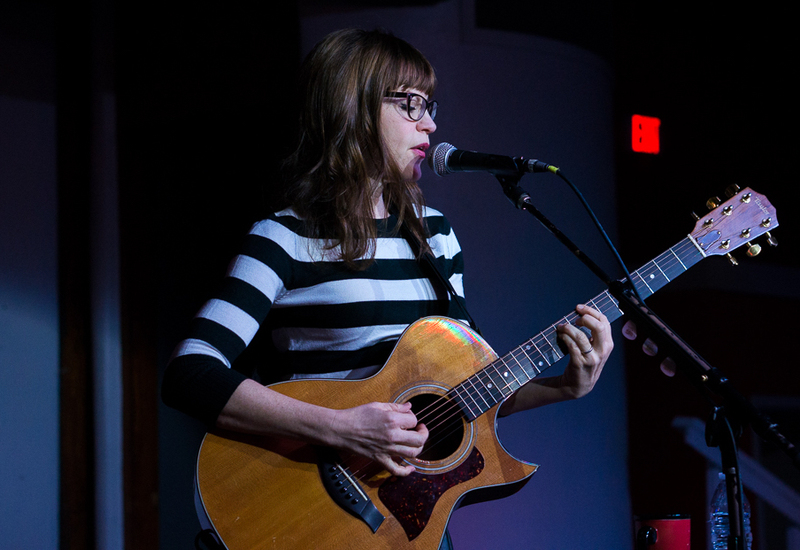 Opening up with Rilo Kiley’s3 “With Arms Outstretched,” and diving through Loeb contemporaries Paula Cole and Natalie Imbruglia’s biggest hits, Muniz managed to stay faithful to the songs while maintaining her own style and sound. She was accompanied by musicians from local bands Fisherman and Pop Pistol, adding a nice depth of sound to her overall performance. The crowd showed their age when she announced she would be covering St Vincent,4 to contemporize things a little bit, to little fanfare. Maybe they were just shy. 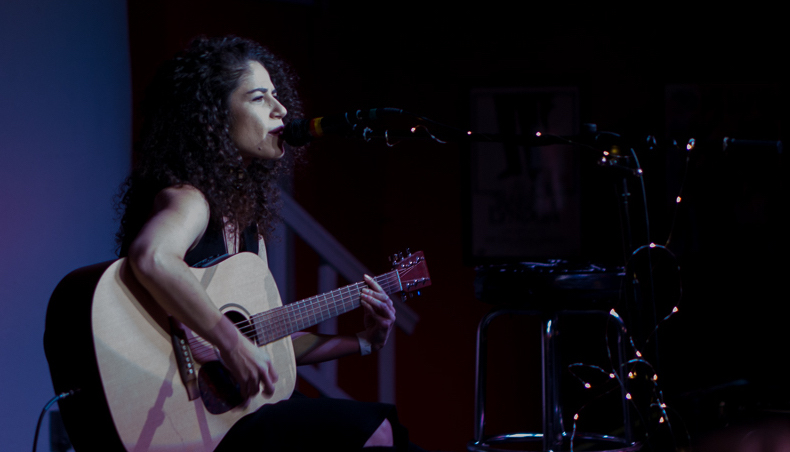 You didn’t have to be a fan of St. Vincent to enjoy her performance as she nailed it. She closed out her set with an original song that seemed to be a nice amalgam of influence from the songs she chose to cover. She provided an excellent lead-in, setting the mood for Loeb. 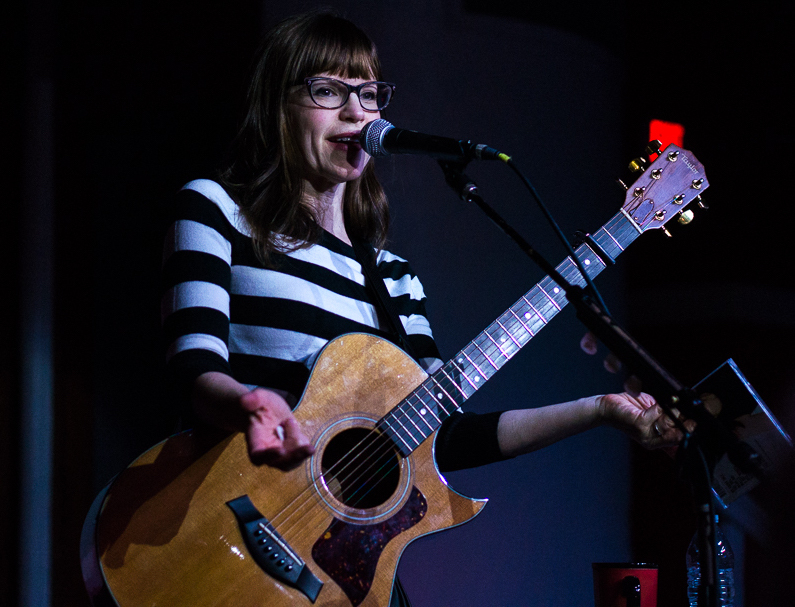 Lisa Loeb modestly took the stage, just her and her guitar. She gave a quick wave and salutations and jumped right into her first song off, a track off of her No Fairy Tale album. While not as familiar with her recent work, the song set the tone for the rest of her performance. She was great holding the attention of the crowd exchanging anecdotes about her songs with warm smiles and bright eyes of admiration. To be honest, it really didn’t feel like a concert, and I mean that in the most sincere way possible. She sipped coffee in between songs and engaged with everybody even singing happy birthday to a few people. It felt like a group of people watching a friend tell stories and play songs. While the crowd leaned towards an older type of crowd, it was still quite diverse. The level of fandom definitely ranged, made evident when she asked if there were any requests and some people responded with some pretty deep tracks. When asked to play the single “Firecracker,” she stumbled and confessed she doesn’t remember most of it because she doesn’t usually play it. When the fan responded “I know,” she was quick to reply “so that’s why you wanted me to play it,” in a charmingly sassy way. I’ve always seen her portrayed as the prototypical 90s girl next door, which is a little unfair. While bespectacled quirky girls are ubiquitous in the post-ironic terrain of bohemian subculture, her look wasn’t that of a pop star at the time. Even more, it wasn’t a look Loeb was just being herself. Watching her banter, she came across as low-key sardonic and nonchalantly cool. Her personality is reminiscent of the cool aunt who snuck liquor to you when you were in high school and whose album collection ranged from the Beauty and Beast soundtrack to Anthrax. Hearing her talk about her musical influences and mention how she was a Zeppelin fan reminded me why I enjoyed her music to begin with. Before playing her first big hit “Stay,” she recounted how she wrote it in response to a fight with her then-boyfriend and how while living in NYC, she was friends with Ethan Hawke5 and how Hawke shared the song with Ben Stiller when he was directing Reality Bites and one thing led to another. Halfway through the song, she noticed a fan up front singing the harmonies. She stopped playing and brought him up on stage to share the mic with her and sing harmonies. The fan incredulously stood next to her and could have easily passed for one of her regular background singers as they flawlessly finished the song. The whole set felt like a personalized experience and she was great start to finish never once providing a dull moment. She ended her set with the meta song “The 90s” which channels a Rick Springfield/Ric Ocasek pop rock-type verse and catchy chorus that is as infectious now as any song from the eponymous decade. 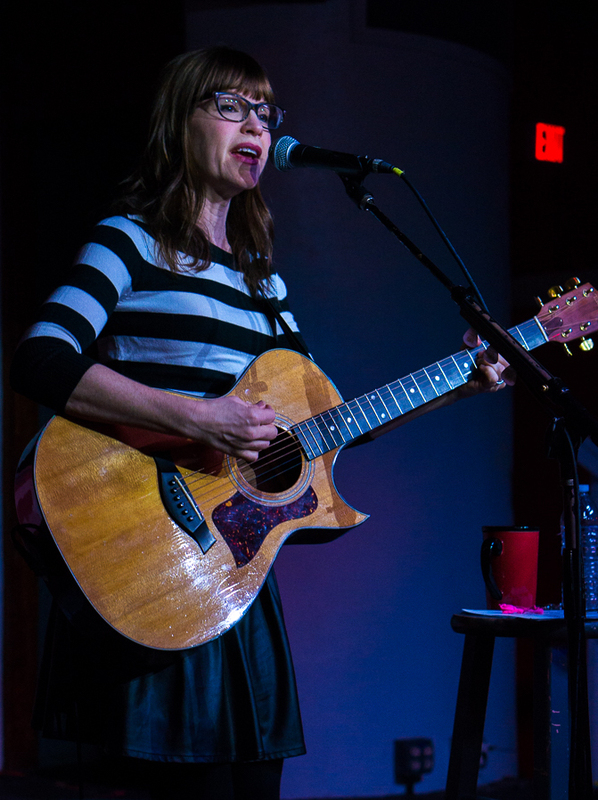 She sings “they say I’m folk, but I like Bowie,” in the line that struck me both for its cheekiness and sincerity.6 The line itself represents everything I like about Lisa Loeb and her music. She’s charmingly and unapologetic nerdy but in the coolest way possible. Her music has influenced a barrage of my favorite artists, some more indirectly than others. While she may not have the star power of the teen pop stars of the 90s today, she is nevertheless an icon. She was the first pop star I could relate to and set the tone for my appreciation of pop music.